It’s a fact that, as a species, we bore easily. Curious beings are we, always looking for the innovative and new. This is especially true of our food. Although we may not always follow fashion fads or jump right in to learn a new technology, we’re far more adventurous with trying a new ice cream or exotic fruit. There’s less commitment, usually less money involved and little risk. Food doesn’t intimidate as much as squeezing into a fuchsia body-sock or figuring out complicated gadgets. New or unusual foods promise a unique sensory experience; and if it proves to be delightful, we’re likely to share it with friends and family. It doesn’t hurt if the food is also good for us. Restaurants, chefs, grocers, and food marketers are all very well aware of this. They spend a lot of time and money feeding our craving for novelty. Although some innovations fall as flat as a peppermint soufflé (remember green ketchup, garlic ice cream, or olestra? ), our produce shelves are burgeoning with fruits and veggies that wouldn’t be recognized just a few years ago. Portobello mushrooms weren’t common until the ’90s, and neither were daikon radishes, fiddleheads, tomatillos, Jamaican yams, or carrots in any other color but orange. Producers can generally get a premium price for new offerings. In our region, ground cherries—that common but largely forgotten roadside plant our grandparents foraged for free—now go for $3.50 a pint. Value-added products using these new crops generate even more purchasing incentive. Folks may be a little hesitant to buy something if they don’t know how to cook or eat it. They may not know what to do with Saskatoon berries, but they sure as heck know what to do with Saskatoon Berry Jam. Seaweed might be a little intimidating to some, but they wouldn’t hesitate to scarf down a plate of sushi. Produce aisles sometimes offer recipe cards for shoppers beside the produce they want to sell. Presenting a photo of a tempting dish entices buyers and eases any hesitation to try it. Once a new food reaches a tipping point of general acceptance the big manufacturers jump on the bandwagon. They may not present it in a healthy or even truthful manner, but their promotion solidifies the food as a cultural norm and is a benefit to small producers who no longer have to educate their buyers. But until there is an established demand, there is risk. The biggest challenge to growers taking a new path is matching up your current resources to what you want to try, understanding your potential market, and your tolerance for risk. If possible it’s best to launch your new venture without digging too deeply into your own savings. That said, you need to be careful about going into debt as well. How to resolve this conundrum? Begin with what you know or are producing already. This means you already have some expertise and an established market that may be more likely to accept new offerings. The greater the cash outlay needed for your product, the truer this is. For instance, let’s say you’ve fallen in love with Water Buffaloes. Don’t laugh. Water buffalo milk is rich, creamy, and is the very best for making mozzarella cheese. According to the Archer family who runs Fairburn Farms on Vancouver Island, buffalo milk has fifty-eight percent more calcium than cow’s milk, forty percent more protein, forty-three percent less cholesterol, and is a rich source of iron, phosphorus, vitamin A and protein. 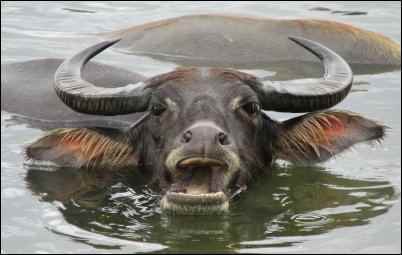 Seventeen percent of the world’s milk comes from the water buffalo. It’s easier to digest than cow’s milk and is good for many people who are lactose sensitive. But establishing a water-buffalo herd is not for the novice. During the Mad Cow Disease scare of the 1990s, all ruminants purchased from Denmark were ordered destroyed and their carcasses tested. Although this disease has never been found in water buffalo, the Archers lost their entire herd of nineteen Danish-born animals. They were in debt and without income, but with a few Canadian-born calves and never-say-die determination they rebuilt their herd and began producing milk and breeding stock. Innovation on this scale is not for the timid. It’s a better option if you already have the land, or a dairy, and a marketing outlet (Fairburn sells all their milk to local artisans, Natural Pastures Cheese Company). But the opportunity for growth can make the risk worthwhile. If you search for “water buffalo yogurt” online, you’ll find several North American farms producing it. The product fits well with America’s trend toward buying healthier, locally-produced, organic meats, and dairy. But what about we smaller homesteaders who want to try growing something new? Luckily there are hundreds of options out there, and small local and/or organic farmers are already well-equipped to meet the needs of niche markets. The trick is to match up what you already have to the opportunities that exist. The following is a four-step process to find your perfect fit. Open your minds and imaginations and get set for an adventure. Gather up paper, pencils, and some intelligent, optimistic people and write down some ideas. Anything goes. No holds barred! Don’t invite any nay-sayers to the table. This is the time for creativity to flow, and nothing dampens that process as well as someone exercising “caution”. Make a rule: no negativity. So what if you live in Arizona and you imagine growing scented purple rice. Put it out there and worry about the practicality of irrigated rice paddies in the desert later. Sometimes a great idea overwhelms the obstacles, so don’t put the obstacles first. This is where the creative types can go wild. Give them free reign. After you have a couple of hundred wonderful ideas, go get a coffee and take a break. When you return to the table, it’s time to put those erasers to work. First, remove anything that doesn’t absolutely excite you. Then make another list, this time of resources. How much time can you devote to developing something new? What are you currently growing? How do you market your output now? Do you have any excess funds for your new venture? What about acreage, soil type, water resources, climate, local pests, etc.? Even if you don’t have your land yet, don’t skip this step. You probably have a good idea of where you plan to homestead and what you’d like to grow. This is where the bean-counters in the group can go to town. Be as detailed and realistic as possible about your assets. You now have two lists. One with innovative ideas, another with realistic assets. Now is the time to match them up. Now is the time to kill your darlings. If you live in a hollow in Arizona with an underground aquifer that seeps out to support rice, then keep your purple rice idea. Otherwise put it on the back burner for now. If you worry about diseases that transfer from ranched wildlife to their wild cousins, then an elk farm may not be for you. If you don’t have the funds to build a fish farm or the acreage to support water buffalo, toss those ideas into the bin. Pare down your list relentlessly. If it helps, don’t imagine these ideas are gone for good. File them for later assessment. Now is the time to listen to the cautious types, the practical ones who’ve been wriggling in their seats until now. What you will end up with after all of this is a list of qualified options. This list is gold. If you’ve done this right you can fly with whatever is left. Give yourself enough time to learn and create the best quality before you head to market though. This is especially true of edibles you plan to sell to specialty customers like chefs. Consistency, reliability, and reputation are essential in niche markets. The following are a few innovations that have succeeded. Let them inspire you! There’s an old joke about a little snail who painted a big “S” on his car. When asked, he said it was because he wanted people to look at him as he passed and say, “Hey, look at that big S-car go.” Cute, but in fact the name “escargot” is a French moniker for any kind of snail. The Helix polmatia is the large, white-bodied snail most commonly associated with French cuisine, but its cousin, Helix aspersa also makes great escargot. This is the smaller, grey-bodied critter that decimates gardens across North America. Raising these as food is a kind of poetic justice. Demand for escargot is far greater than local supply, with most chefs purchasing tinned snails imported from France. Locally grown escargot has good growth potential as it offers better value and often better quality for restaurant buyers. You can start small with low cash outlay. Mary Stewart is a successful snail rancher in California who supplies top chefs all over the country. 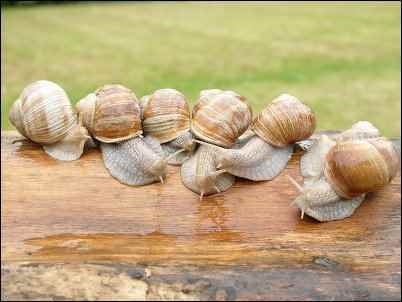 According to NY Times writer, Jeff Gordinier, who calls her “The Snail Wrangler”, Mary’s snails are in high demand because she makes the effort to cultivate the best and thoroughly clean them of grit before market. Mary advises potential snail-farmers to take time to learn the art of heliculture before approaching chefs who are very particular about quality. Hurricane Wilma decimated Midge and Tom’s landscape and irrigation business in the Florida Keys in 2012. Instead of lingering on the devastation, they looked around and focused on the bounty of salt that surrounded them. Using the battered remains of their decks and pipes they built two salt houses and began to produce solar-evaporated sea salt. They now successfully sell their salt online, and through local shops and CSA’s. In Canada’s far east, a Newfoundland farmer named Ward George wondered what to do with an unused greenhouse he had in his nursery business. The idea of farming salt struck him as he reached for the shaker one morning. Why the heck buy salt when outside his doorstep was a vast briny ocean full of the stuff? He laid out a twenty-five-by-fifty-foot sheet of rubber liner in his greenhouse to collect sea water siphoned out of Trinity Bay and let the sun and wind evaporate it off. He now sells online, to restaurants, to the local Rocket Bakery and at the St. John’s Farmer’s Market. You might check out “White Gold: A Brief History of Salt” for some useful trivia to schmooze customers. At one time the perfect snow-white button mushrooms now decorating produce bins were merely a French dream. But those renowned connoisseurs of gastronomic delights developed a consistently white strain the world fell in love with. That is, until the eighties when people began to demand more colorful fare. The Portobello is actually a marketing invention. When young, the giant fungus is, in fact, a crimini—that brown sister of the common white mushroom. When older and larger it was considered too tough and strongly flavored for human consumption and was discarded as pig feed. Then someone had the bright idea to reinvent the cast-off, call it “portobello”, and sell it as a brand new mushroom. Now mushroom bins may hold shiitakes, oysters, chanterelles, porcinis, enokis, and morels. 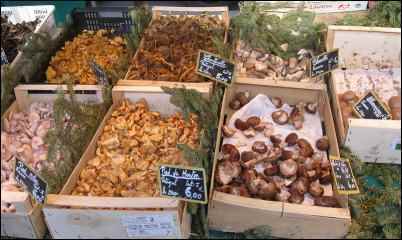 Many edible mushrooms are marketed as having health benefits. Reishi are listed on fitday.com as the “Super Anti-‘Shroom with anti-cancer, anti-oxidant, anti-bacterial, anti-viral and anti-fungal benefits”. Maitake, shimeji, turkey-tail (inedible, but makes a powerful medicinal tea) can all be cultivated. Mushrooms can be marketed fresh, or dried, through Farmer’s Markets, CSA’s, to local restaurants and health food stores, or online. When Shelly Egbert noticed the odorless, fine-grained mud oozing out of geothermal mud pots on her family’s property in Nevada, she had a brainstorm. Why not sell it so people could slather it all over themselves? She partnered with a friend, Summer Powelson, to extract and market the stuff. They conscripted their children to help harvest and package the mud and Black Rock Mud Company was born. They sell their mud online and to nearby spas and casinos in Reno. The company has a strong eco-culture and adds value to their product with packaging that has been imbedded with non-invasive wildflower seeds that you can plant and grow. In 1983, the Jones family lost everything they had to crop failure, including their land. Traditional farmers, they’d grown cash crops of soybeans and corn but now had to start from scratch. They leased land and began to grow new crops. When a local chef asked them for squash blossoms their entrepreneurial curiosity was peaked. What other exotic crops might be of interest to chefs? They began to grow microgreens that elicited intense interest within their new market. They developed their craft and now provide tiny, baby herbs and lettuces with the flavor and unique shapes and colors demanded by fine chefs around the world. The Jones’ have now completely abandoned traditional farming. They focus on healthy soil and working with nature to provide the best produce. You can make wine out of just about anything. 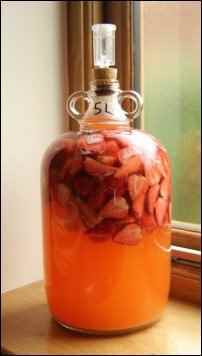 But also look at other fermented products such as mead, sake, or hard cider (which can be made from a variety of fruits from apples to plums). Check your area’s regulations as distilled alcohol is regulated differently than beer and other fermented products. In our neck of the woods, cottage wineries are becoming more popular. If you already have an orchard, why not look into boozing it up? It’s one of the most lucrative value-added markets. Product can be sold on the farm, at local markets, or online. Look up local marketing boards for advice. Cattle rancher Annie Haven markets her “Haven Natural Brew Tea” on her website. Looking just like those tea bags you dip in your mug in the morning, these packets of dried manure are steeped to feed your garden plots or potted plants. Haven even sells gift packs. Selling manure can create income, but converting it into compost can increase return dramatically. At Tandem Park Riding Center in Colorado, manager Laura Voshchenko was paying $450 a month to have manure carted away. In an article written by Rick Kahl for stablemanagement.com, she says she now charges $40 a truckload for compost made from that same manure. Chris McLaughlin, a master gardener and writer for vegetablegardener.com, touts the many advantages of rabbit poop. It’s easy to spread, has all the benefits of animal manure, and doesn’t have to be composted before used. Doug Knippel keeps rabbits in raised pens and sweeps out rabbit manure frequently. Once screened, he bags the manure in empty rabbit-feed bags and sells it at $5.00 a bag. He estimates he takes 33% off the cost of feeding his rabbits this way and money saved flows into profits. Doug also sells worm poop. Check out his diverse farm at NWRedworms.com. We tend to think of hybrids as GMO-produced Frankenfood, but humans have been developing hybrid strains of fruits, nuts, vegetables, and livestock since farming began. 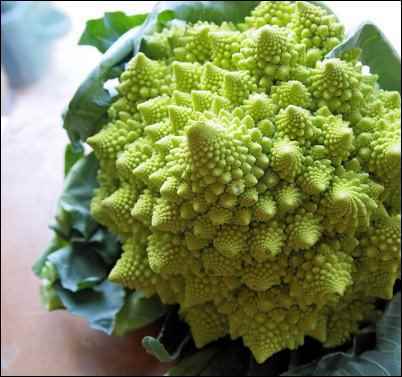 Familiar veggies common today weren’t around at the dawn of agriculture. For instance, broccoli, cabbage, kale, cauliflower, and kohlrabi were all cultivated from the wild mustard plant. Hybridization occurs naturally through the cross-pollination of related species. Think rutabaga (a cross between turnips and cabbage) or grapefruit (pummelo and sweet oranges). Recent developments seen in markets are blood limes (lime and mandarin orange), Tayberries (blackberry raspberry cross), tangelos (tangerine and grapefruit) and Jamaican Ugli fruit (grapefruit, orange, tangerine). If you have a talent for plant breeding you could produce something truly unique. Less common fare such as Chinese artichokes, chayote, purple sweet potato, hairy cucumbers, Juneberries, seabeans, quince, baby sea-kale, rat-tail radishes, orach, quinoa, turmeric, Halloween radishes, Buddha’s hand citron, blue-berried honeysuckle, birch sugar, tiger nuts, sunchokes, sorghum, and nopales cactus are only a few of the fascinating options out there. Check out what suits your climate, and resources. Also, consider medicinal or culinary herbs or growing landscape or ornamental plants. Good luck and good innovating!